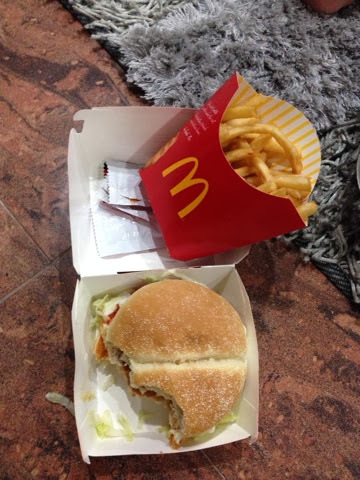 My late night dinner is Chicken Mcdeluxe with fries! The food is great and delicious. Once in a while is okay to eat for me. I hope everyone will have a great dinner!